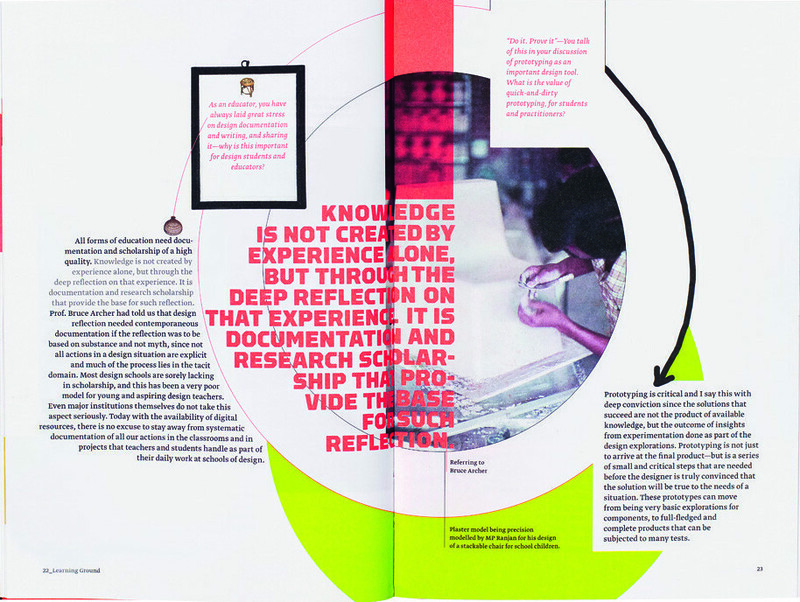 This anthology of interviews with Indian graphic designers gained exposure in the UK earlier this year when it was featured in the ‘Designs of the Year’ awards at the Design Museum in London. Published by the Delhi-based brand consultancy CoDesign, it offers a timely first-hand account of the state of graphic design in a country that has emerged as one of the world’s significant growth economies. In his campaign for combined consonant and vowel sounds to be incorporated into single glyphs, he took a ‘phonemic’ approach to visualising language. Kshetrimayum has dedicated himself to the revival of Meitei Mayek, the script native to the Indian state of Manipur but which until the 1980s was for centuries subsumed under Bengali influence. Its sources are equally fascinating. The original characters derive from different parts of the human anatomy and the numbers were formed by the abstraction of foetal postures during its development. In recent years, fuelled by critical or ideological motives, and by a sense of alienation from industrialisation and mass-production, Western graphic designers have taken recourse to bespoke and hand-made methods. Such renewed focus on the act of making has also been inspired by the characteristics of digital media and the desire to question the entrenched definition of design as occurring in a realm of conception as distinct from production. In Dekho, there’s a sense that when Indian designers invoke such strategies, the recourse comes from more immediate and pragmatic social realities. Orijit Sen and Gurpreet Sidhu discuss the development of their People Tree brand, which enables India’s networks of still thriving craft-based producers and artisans to push the boundaries of traditional techniques. 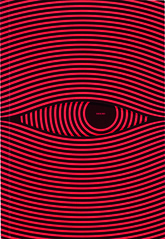 The cover of Dekho is printed in undulating black and fluorescent orange stripes. It conflates the graphic style of op art with curves evocative of Indian script. Elegantly die-cut at the centre in the shape of an eye to reveal the black circle of a pupil underneath, the book takes its title from the Hindi word for ‘to see’ (once Anglicised as the arcane British slang word ‘dekko’). Yet in the perspectives its contributors provide on the origins of human understanding, it could be called ‘to know’. Veteran educator M. P. Ranjan invokes the framework of reflective practice and the work of Donald Schon and others when he encourages the development of ‘tacit knowledge’ … ‘hands on, minds on’. However most of the contributors in Dekho do not require a theory on which to hang their awareness of the fluid relationship between the mind and the body, and between rationality and intuition. 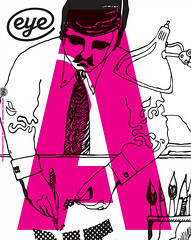 The sub-plot of Dekho is the story of the National Institute of Design at Ahmedabad. Founded 50 years ago and based on a seminal report by Charles and Ray Eames, every person in the book cites the National Institute as a formative influence, and the book contains many archival photographs of experimentation undertaken there. In 2013, as the Government of India embarks on an initiative to set up four new NIDs, one suspects a more detailed history of this institution and its pedagogy would be both rich and beneficial. Such an ending suggests India is itself a model of emergent creativity (especially when compared to the command economy represented by China). This model is reflected in the design of Dekho. While based loosely on a two-column grid with body text set in Peter Biľak’s Greta, the design eschews a systematic approach. Each interview is treated individually. The book itself is a melting pot of illustration styles, typographic treatments and photographs, some black and white, some silhouetted, all of which share each other’s space on the page. It is not always easy to navigate – for instance, the gutter is often ignored and reproduction is not always of the highest quality – but the overall impression is one of exuberance and play, of a spirit of optimism, unhampered by constraints and less focussed on acts of undoing. In the meditations it offers on Indian contemporaneity and design, Dekho captures a significant, pivotal moment. Die-cut cover. Creative direction: Rajesh Dahiya, design by Abhijith KR. Top: spread from ‘Learning ground’ by M. P. Ranjan shows the author with a plaster model of a stackable chair.